Do your lips need a little extra moisture after what seems like a neverending winter? Treat 'em right with the Bite Beauty Agave Lip Mask. I don't know about you, but my lips have pretty much been chapped since November. Luckily, this mask combats the dryness with a bio-active blend of organic agave nectar, jojoba oil and vanilla CO2 extract. The formula is smoothing and immediately hydrating -- but what I really love is how long it lasts! I've been applying it before bed twice a week and when I wake up 8 hours later, my lips are still soft and moisturized. 1) It doesn't necessarily taste the best. It's not as gross as Vaseline, but definitely nowhere close to as delicious as Lip Smackers. 2) It actually leaves behind a kind of uncomfortable menthol-like cooling feeling. This fades after a few minutes, but if you're constantly pressing your lips together, it almost hurts a little bit. But maybe this is just me, since I haven't seen this complaint in any other reviews. 3) The mask comes in a little grey tube, which I thought would be easier to use than it is. I've found that rather than squeezing the product directly onto my lips, it's easier to squeeze it onto my finger and then pat onto my pout. Cons aside, I do actually really like this mask. It feels good on your lips, albeit a touch waxy, and it really does restore hydration to my lips. I've noticed a difference just from a few nights of eight hour use! 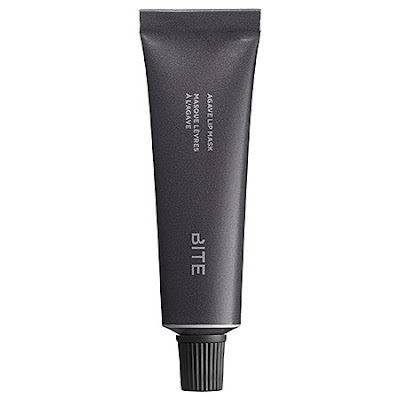 The Bite Beauty Agave Lip Mask retails for $26 at sephora.com.